Phew! I made it through my first week of school! I love my kiddos - they are fun, bright, and...chatty! We're working on self-control big time. I love the energy and excitement that the beginning of the year brings - but I'm also ready to fast-forward a couple weeks til we have settled into a normal routine. One of my favorite back-to-school activities is a Directions Test. 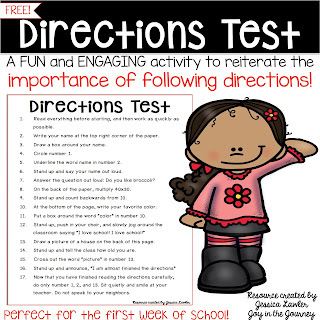 I hand out the "test" and tell the students to read the directions very carefully and to work as quickly as they can. 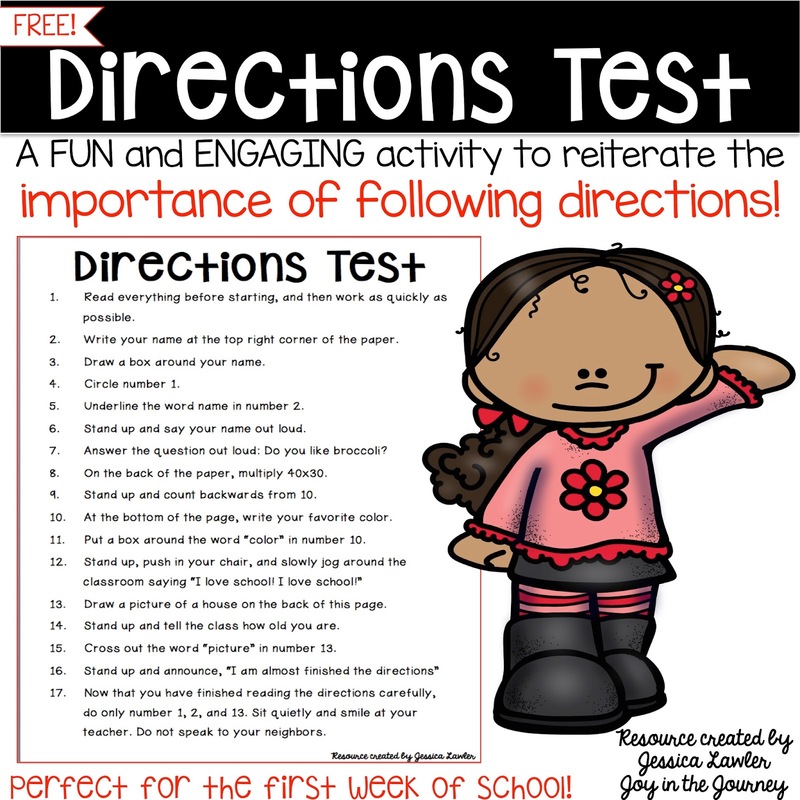 The key is most students don't read carefully - they just start following the directions as they go, calling out their age, jogging around the classroom saying, "I love school!," and working multiplication problems on the back, etc. However, if they read all the way through, they just need to write their name, draw a picture of a house, and smile at the teacher, showing that they followed the directions carefully. I usually have one or two who follow the instructions properly and I always make a big deal about them and shower them with praise - and a prize. It's hilarious - and a great discussion-launcher! Definitely a memorable activity to set the tone for a great school year!